I’m back on tour again, another shortish jaunt; this time a bit over a week. I’m heading up to Victoria, B.C. In Canada to see some experimental classical music concerts. I don’t plan to “live blog” this one but I’m thinking I’ll use Track My Tour. So if interested follow along here: Tour into Silence. I will post pics and write-up as per usual upon my return. If you are curious about the concerts I’ll be writing about them on my music blog: Wandelweiser Concert series. The last day of the tour is of course the ride home. 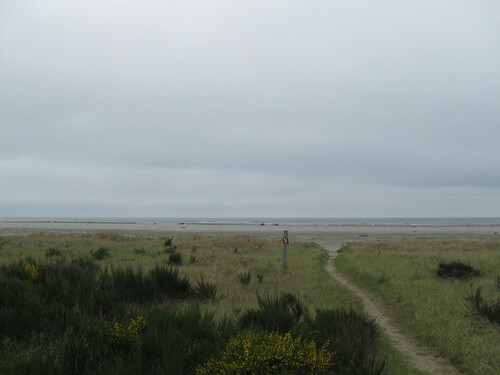 Now when I was camping at Twin Harbors, just a few miles up the road, I rode back to Olympia in a straight shot, which I intended to repeat. It is a few more miles, but the route I did that time took a rather northeastern jog that added a few miles so I hoped it wouldn’t be too epic. It was going to be about 70 miles regardless, but being that home was the destination it didn’t matter too much when I arrived. I ended up waking up pretty early and was out of the sack before 7am and thus able to cook, pack, cleanup and hit the road by 9am, which is a good start for me. I bid farewell to the ocean and then I was back on hwy 105 heading north. There was a decent amount of people out and about — primarily people claming at the beach and presumably people heading inland for work or what have you. This route has become pretty familiar to me and there really isn’t too much to tell. The last time I rode it, in October, it was pouring rain, whereas today it began overcast but was pretty clear and warm by 11. 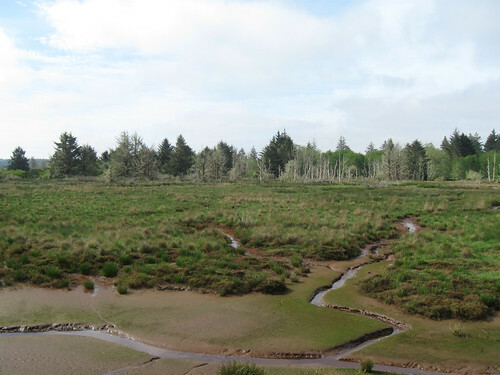 The trip has about four distinct legs to it and the first is 105/101 to Aberdeen an undulating route crossing over mudflats and wetlands. This was in the nice cool morning and riding the mostly gently rolling hills was pleasant enough. At one point a pickup truck was passing three cars and as it came near me a gigantic red buoy flew out of the bed and bounced on the road in front the car he’d just passed. The truck swerved back into his lane and kept on driving. The car behind him, which I was almost parallel to, though on the opposite side of the road happily, swerved, braked but hit the buoy anyway, shooting it across the road. I passed all these cars right after that and was happy to be past the fray. You see crazy things on the roads. The next stage is from Aberdeen to Montesano and is mostly on a nice paved trail through Aberdeen an on to the tiny burg of Cosmopolis. I stopped at little park in Cosmopolis to take off my leg warmers and socks and to eat the sandwiches I’d made for lunch. It was only about 11:30 and it was getting hot. 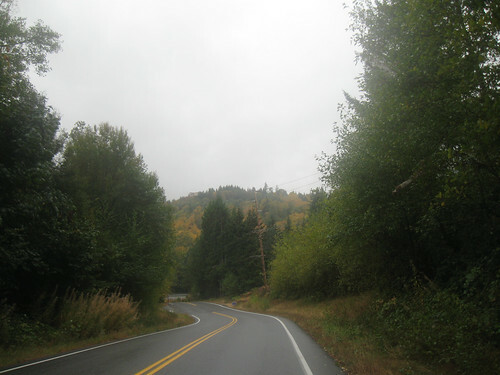 Then it is nice back roads around Blue Slough a bit of hwy 107 and then under why 12 and you are in Montesano. From Montesano to Olympia it is pretty much going to be on hwy 12, but my Google Maps route put me on frontage roads as much as possible. I’ve ridden most of these plenty of times but there was a couple of new stretches this time. One of these had me cross 12 and then ride to the south of it in farmland where a very aged dog had a go at chasing me, but clearly the spirit was willing and the flesh weak. As I came round a bend and out of some trees I could see the cooling towers of the mothballed WPPSS (pronounced whoops) nuclear power plant. 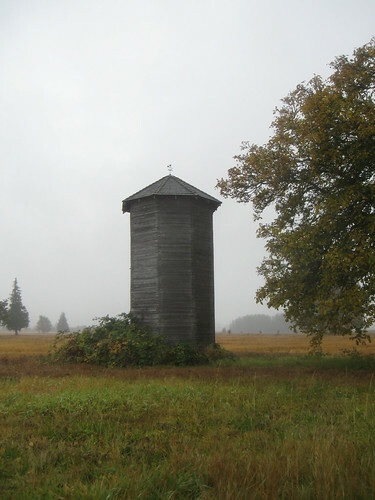 The landmark in this part of the state. Alas shortly after this it was hwy 12 for a long stretch. There is a huge shoulder and not much by the way of on/off ramps and of course the highways stay pretty flat. But it was hot, boring and endless traffic. 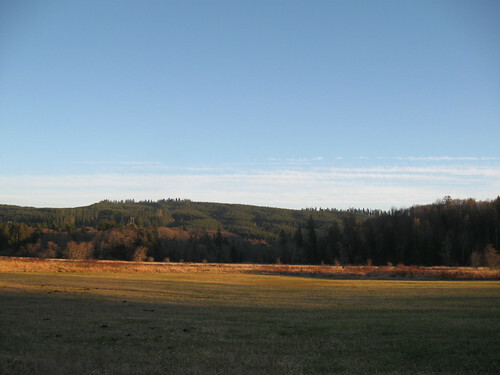 The scenery was mostly farmland in the valley with the Willapa Hills way in the distance. I was pretty easy to keep up the pace and just grind out the miles. I have to admit that by about 45 miles or so I was feeling pretty tapped out, and I still had 20-30 to go. I pulled off at a rest stop on my 49 and hung out there for a while. Refilled my bottles with cooler water, ate some food and relaxed in the shade. I ran into a woman there who was driving to Olympia to possibly buy a Trek 520 for touring use. She’d toured when she was younger and was getting back into it. Small world. From the rest area on it was all 101 until the nearly Mud Bay. 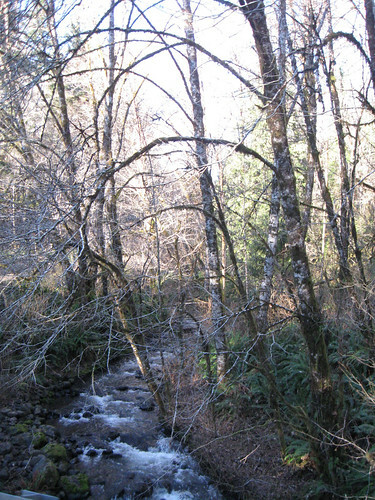 This bit of 12 is pretty interesting as it runs in the foothills of the Capitol Forest hills and is not very developed and is filled with some old trees and babbling brooks. I welcomed the shade for sure! Then the route took me on the “Old Olympic Highway” which allows one to bypass the 12/101 merger and ride in the countryside for a few miles before crossing over 101 and down to Mud Bay. From there its the final hump up the long hill on Mud Bay road into West Olympia and then down again to downtown Olympia. One last hill up toward the capitol and then through neighbors and I was home. Thanks to the early start I made it home around 4:30 in the afternoon. Plenty of time to break down the touring rig and get everything squared away before delving into some beer and food. January was pretty bleak this year with some quite cold weather here in Olympia. I can’t deny the impulse to hunker down and hibernate in these conditions. The rains came back and it warmed up a bit but while I’m always game to ride in the rain it doesn’t really inspire one to all day rides. As the month waned I began to do a few more lengthy rides including a near all day ride in the rain. But word that Groundhog Day would be dry, partially sunny and in the low fifties got me itching for a more ambitious ride. 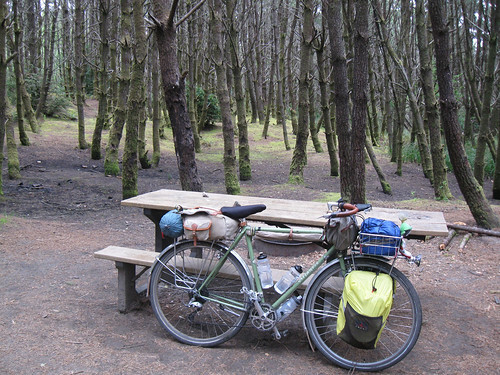 What I wanted to do was ride into the woods and have a picnic. 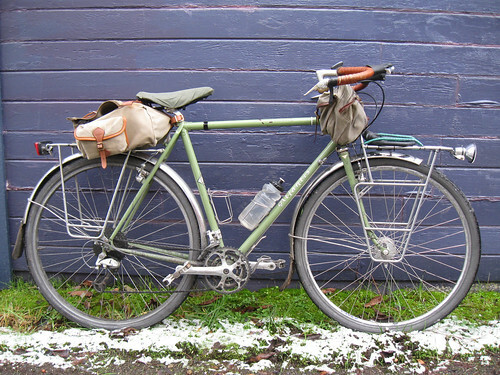 I cobbled together a route using a SIR permanent with some tweaks and alternates and I managed to get myself on the road before noon (always the big hurdle for me in the winter – the days just aren’t long enough). 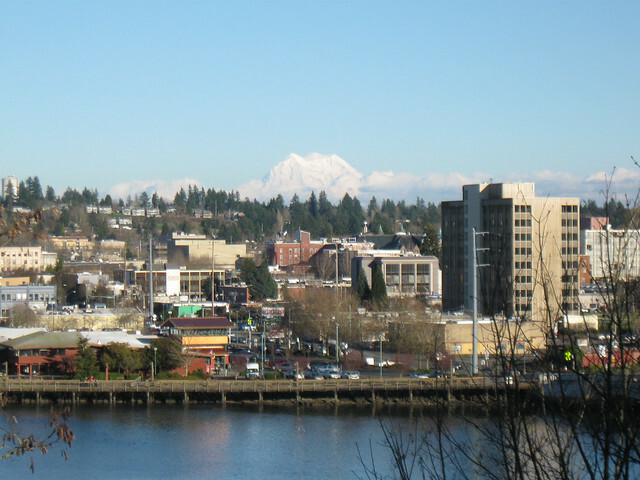 I took one of my typical routes through Olympia, Tumwater and around Black Lake. From there it was nice backroad riding to Capitol Forest. Not too far along I encountered Waddell Creek Road and with some quick consultation with Google Maps I decided to abandon the rando route. 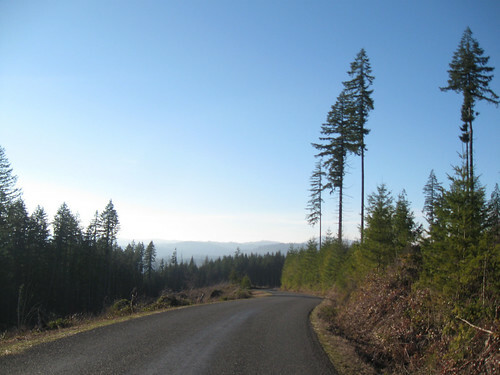 This was a good choice as Waddell Creek road takes you into the eastern edge of capitol forest and while more hilly is a lot more scenic then the section of Delphi Road on the route. 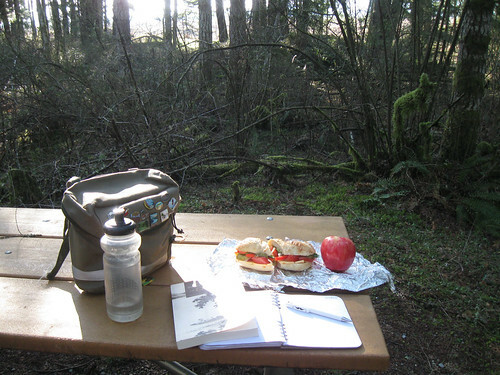 It also took me by Mima Mounds Natural Area where since it was already after 1pm I decided to have my picnic lunch. 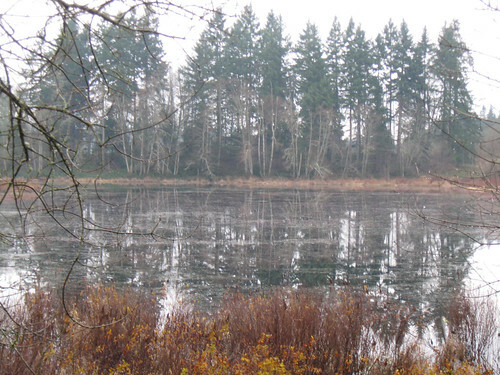 The Mima Mounds are an interesting natural feature – prairie land with irregularly spaced and sized mounds. 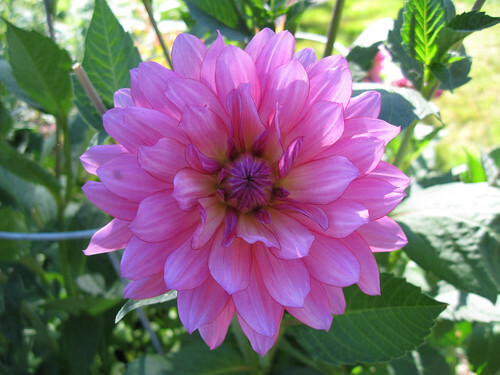 The theories behind their development are varied; check out the linked Wikipedia article for a survey of them. 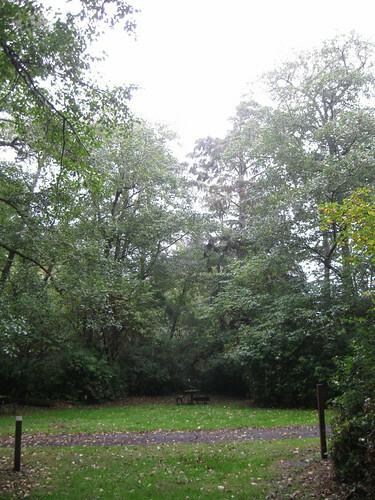 The natural area preserve has a paved trail through a section of mounds plus a picnic area. It was at the latter where I took a break, ate my lunch and read some Chinese poetry. 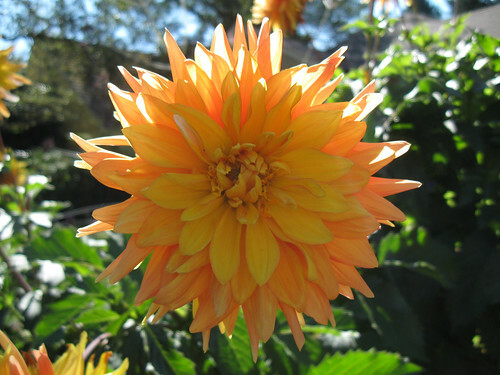 if it’s evening, even if its fall. Keep on moving I would have to do if I wished to make it around Capitol Forest before night fell. So while I had a nice picnic I did not linger overly long. 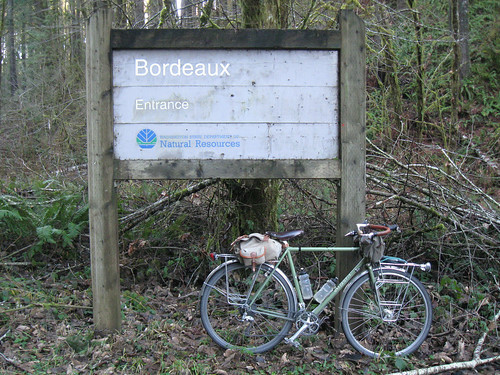 Back on the road I wended in and out of the Capitol Forest until I reached Bordeaux road. There I entered the forest and cut across it’s southern extent. 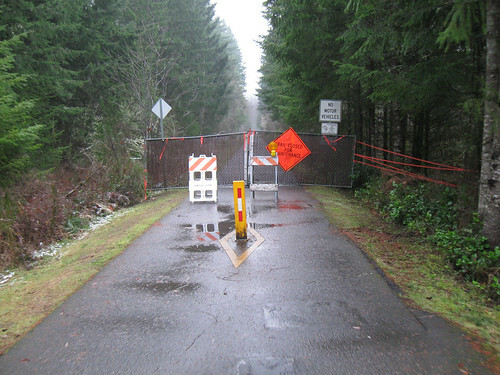 This would turn out to be one of the best rides I’ve done in Thurston county – a narrow one lane road with minimal traffic, entirely in the forest mostly following streams. 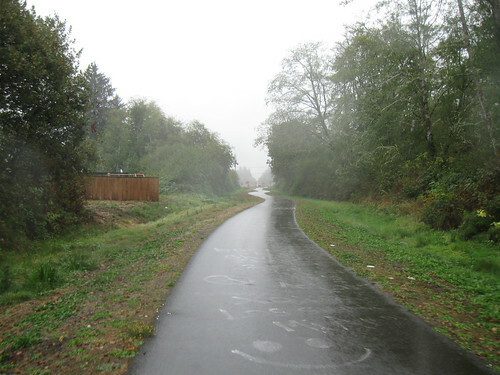 This route into the woods began on Bordeaux Road which then splits to head more southernly toward Cedar Creek Corrections Center or Northwesterly. I chose the latter route which then continued on to about two miles of climbing. There was a decent amount of clear cutting in this section (this is sort of what Capitol Forest is for; it’s not just recreation its a “working forest”) but still mostly wood and alongside little cricks. Eventually I came to the top of this climb and while roads went off in several directions I stuck to this paved road. I do want to get back here soon and ride on the various hardpacked gravel roads, but it’s been very wet and the days are still a bit short for that kind of wandering. 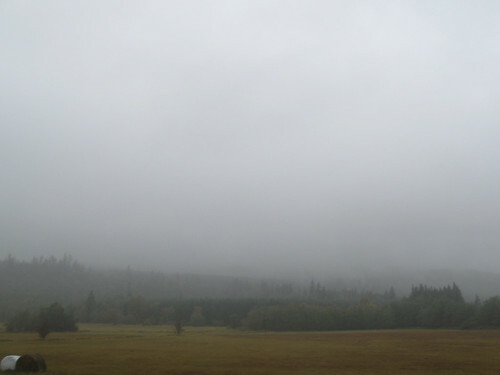 The day had been foggy and grey but it had began to break up not long after lunch. Now it was completely clear and sunny and the sun would shine through the trees and fully open up in the clearings. The road then preceded to descend and this was some mighty fine riding. The road was single lane and not much wider than some of the rail-trails I’ve been on and at least this time of year almost deserted; I think I encountered three cars total the entire time I was here. It followed Cedar Creek for a good piece and there were several campgrounds (closed this time of year) right on the river. Definitely a place to come into for an S24O as they open up. Since I was once again off the map (the rando route didn’t go through the forest at all) and I wasn’t really getting data on my smartphone I didn’t really where I was going to exit the forest. It turned out to be on Hwy 12 about 13 miles from the tiny town of Porter. I’d ridden a bit on hwy 12 and frontage roads on my ride to the ocean last autumn and while fairly trafficked it’s not a a bad road. 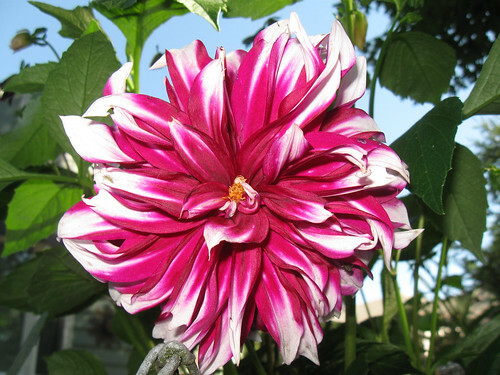 It has a large shoulder and is along the Chehalis River and the river valley. I was able to make good time on this road which I took advantage of as the the sun was dipping toward the horizon and I had many miles to go. When I reached the tiny burg of Porter, where I’d turn northward on more country roads, I stopped at the first store I’d seen since Black Lake. There I found a pair of SIR riders taking a break from a permanent that they were riding. They asked if I was riding with SIR and I said I was just riding. We talked about their ride a bit and at one point a commented that I found randonneuring too organized. And thinking about it I think that is true. I great respect the randos and I use their routes all the time. But just think about this ride – I deviated from the permanent route three or four times where the road was more interesting, the scenery more compelling; in short I followed the inexorable exhortations of my soul. Not to mention that I set out at 11:30 in morning and so much randoneuring starts at the crack of dawn. I definitely can see the value of it all and I can see myself getting involved with it, but my mindset is that of a cyclotourist and of “bombing around” like I did as a kid. It was now magic hour with the sun casting long shadows as it prepared to bid farewell to these parts. I still had a ways to go though I wasn’t really sure how many. Google Maps steadfastly would not let me use the bicycle routing with Hwy 8 in the mix. But that bit was on the permanent route and I’d ridden this section heading the other direction on my 2012 tour. So I’d just let my route end at that point as I didn’t need directions. But before I arrived at the highway there was about 8 miles in a valley alongside Capital Forest. Another excellent section of country riding in this valley, studded with farms. The road was chipseal and less of a good time but the traffic wasn’t too high and the scenery was very fine. But soon I was on a frontage road along why 8 and then 8 itself. The sun was setting now and after a few miles of twilight I spent the rest of the ride in the dark. Luckily I have a good set of lights, there was a wide shoulder and I was nearing the end of the ride. At one point I looked back in my helmet mirror and saw a set of headlights clearly on the shoulder and slowly gaining on me. I picked up the pace slightly and kept looking back and checking the bailing out options. But it wasn’t really gaining on me anymore. Then the lights jogged into single file and I realized it was those two rando’s I’d encountered earlier. As it became fully light their lights were a constant rearward pressure pushing me on and then after they pulled off no doubt at a control I was again on my own. But now it was just a scary merge with hwy 101 and then the exit onto Mud Bay road and I was done with highway riding. It had been fully dark for a while and riding at night reminded one quickly that it is still deep in the winter. I was well protected with my wool and my rain coat but as the temps dropped I definitely felt it. 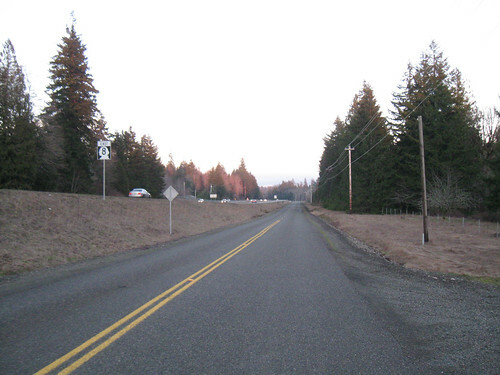 The big hill up Mud Bay Road warmed me up and then I was in West Olympia. From there it was simply a matter of riding through west Oly, descending into downtown and then climbing up toward the Capitol where I live. I arrived home right around 7pm after riding a hair over 68 miles (109km). A great winter ride with everything I enjoy in a ride. It’s good to do rides that push you this time of year as one begins to emerge from hibernation. Check out all my photos from this ride. I was in TN visiting family during the rollover from the 13th to the 14th B’ak’tun and thus am only now getting around to a ride. This day, which is also the final day of 2012, began with snow in Olympia which coated my neighborhood with a fine, wet layer of snow. By the time sufficient coffee and the like had been ingested this snow was mostly gone and I was itching to get out. 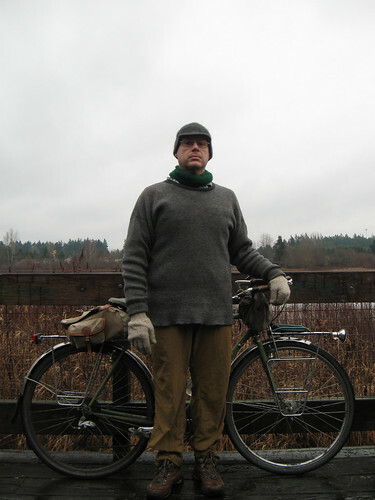 I layered up to fight off the cold and set off in the grey afternoon light. I was interested in the remaining snow and if there were spots that received more then we had. I wanted to be in the woods as well and to search for some photographic opportunities amidst the bleak winter landscapes. The trail system around Olympia I felt was the place to go in order to avoid any snow bound traffic but also to be able to bicycle in the woods and find those photo ops. It turns out that as soon as I descended the modest hill upon which I reside the any traces snow pretty much disappeared. The trails were pretty much abandoned this NYE and while wet and oft strewn with leaves there was only faint traces of snow. There was many targets of opportunity for the photog though and as I rode along I’d stop to take advantage. 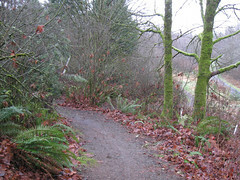 But a mile or two up the Woodland Trail I passed a gravel path that I’d ridden by several times but had yet to explore. And just like that this ramble for photos and snow transformed into bombing around. What is bombing around you ask? In my youth those days for which I could give no clear accounting of how I’d spent the entire day out doors my mother would say I spent it “just bombing around”. In a bicycle context for me bombing around means riding without a goal following ones curiosity. 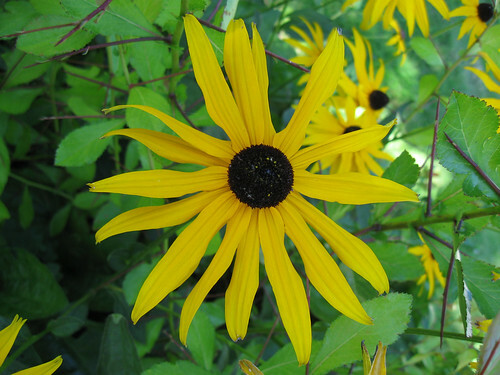 It differs from a ramble as a ramble is an aimless perambulation around a set destination. You ramble around town you bomb around the countryside. These are the rides where you ride down a dead end road because you suspect there might be a trail or foot path at the end. Where you ride down path into the woods that ends in a bramble, or a meadow or an impassable thicket. 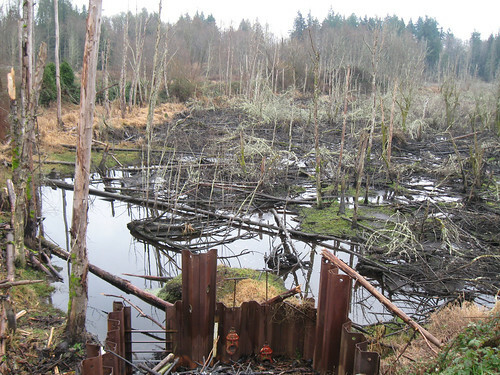 Or you just turn down a gravel road next to a wetland that disappears into the treeline. The gravel path continued apace, rounded a small hillock and then became almost singletrack as it entered a stand of young white birch. This wound around through the trees a bit and then climbed up to exit in a cul-de-sac in a new housing developing which was being worked on on this New Years Eve. I wandered these streets for a bit eventually hitting a road I knew returned to cross over the Woodland Trail. At that overpass I took a nice trail that switchbacked it’s way back down to the Woodland Trail about half a mile south of where I’d left on this little jaunt. As I re-rode this section of trail I noted a pair of gentlemen out doing some landscaping work along the trail. One of these guys had ridden out to do this work and had panniers full of landscaping tools. 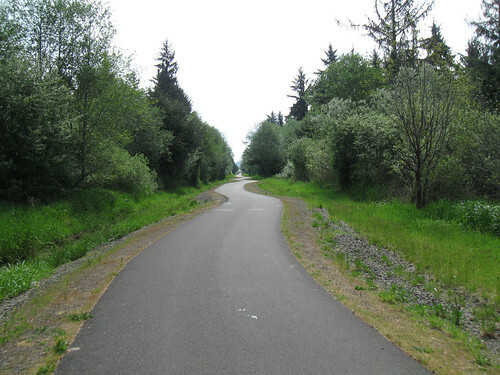 As the Woodland Trail skirts the edge city of Lacey it intersects with the Chehalis Western Trail which I impulsively turned onto. I’ve ridden chunks of this trail a number of times since returning to Olympia and of course the bulk of it returning from Mount Rainier on my 2011 tour. 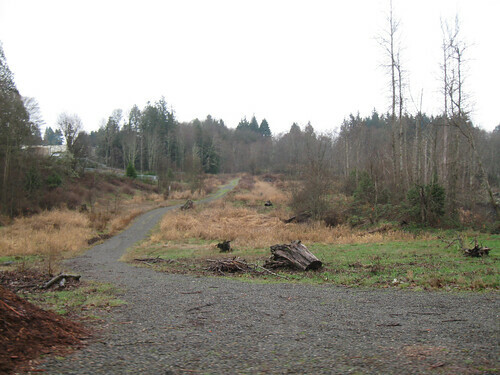 It is mostly wooded after it passes though the suburbs and exurbs and golf courses outside of Lacey. There a number of small lakes along the trail and I figured lots of opportunities for more mixed terrain riding. 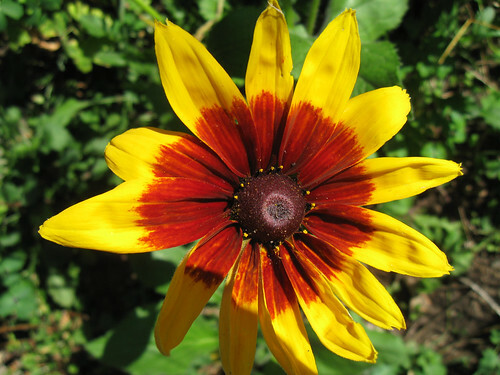 This opportunities indeed did arise and all along the perhaps ten miles I rode on the trail I would jump off to ride little trails down to lakes or meadows or tracks that paralleled the main route route. I ended up in a few sketchy situations – a hallmark of bombing around – where the trail would be deep mud, blocked by trees or a descent to steep for my confidence. But a good time was had by all. There were a few more people out on this trail, mostly dog walkers but I saw a couple other people riding. The afternoon was wearing away and while I had no set agenda I began to think of turning around. At this point I saw a meadow off the the trail with a track running into it and I immediately pulled off and rode down to it. This minimal track rode into the woods where there was a course of sorts set up. Much of it blocked by branches, I kept dead ending. I ended up pushing my bicycle up a steep hillock of dirt to find a too steep (for me) descent on the other side. So back down the way I came and I rode around the wooded bit on a grassy near-trail paralleling a road. 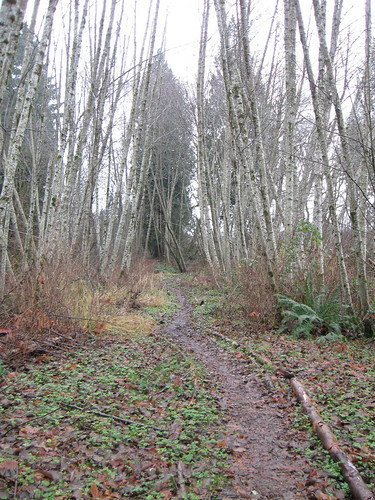 Then back into the woods on a trail that led back to the Chehalis Western. 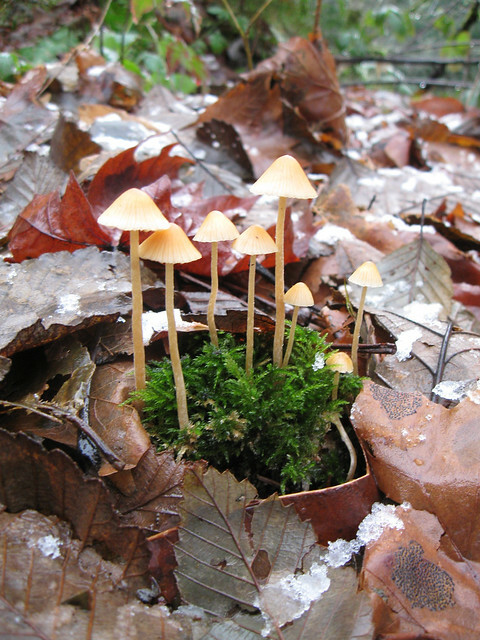 A fun little jaunt that brought to mind the woods around the house where I grew up that were so clearly heavily used by all of us that lived around them. 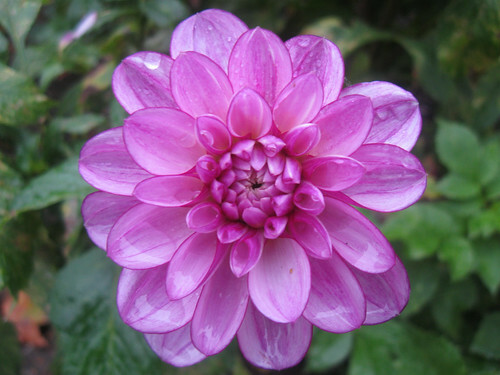 And yet, again like today, you almost never encountered anyone else there. Looking through the barrier the trail looked fine for as far as I could see. Hopefully it will open soon. But this seemed as good a place to turn around as any. And so I did. I did drop off onto frontage roads as I saw them, to vary it a bit and again I headed off-road on some trails I hadn’t hit on the way out. On of these began with deep mud, steeply climbed up next to railroad tracks and then petered off into the trees that followed the tracks. The sky was clearing a bit and while hazy, there was patches of blue sky. Of course on a winter day this just chilled things further but it was nice to see some sun and blue sky. 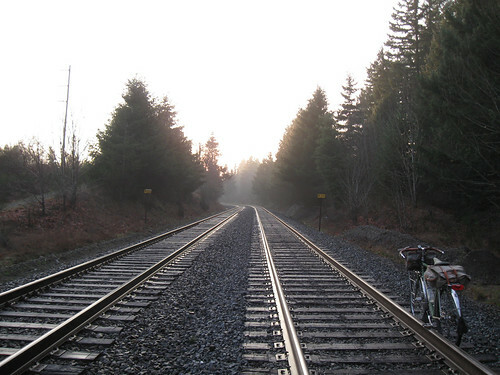 After this last little excursion off the Chehalis Western I steadily rode back to the intersection with the Woodland Trail. Again I backtracked riding south again passes those landscapers, now packing up to head home. I planned to end my ride with a stop at a grocery store to pick up some dinner supplies and I needed to cut over to the I-5 trail which parallels the Woodland Trail at this juncture. Once again I took to the trails, riding this great section, as narrow as singletrack, but on pretty flat ground that wended around the trees. Eventually it hit a more conventional connection between the two trail and I was on the I-5 trail. 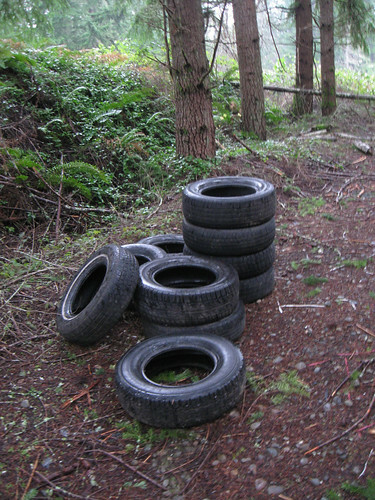 Here it was much darker and the trail clearly little used as it was liberally strewn with trees. It wasn’t long until I made it to an intersection where I turned off into East Olympia where I did my shopping. 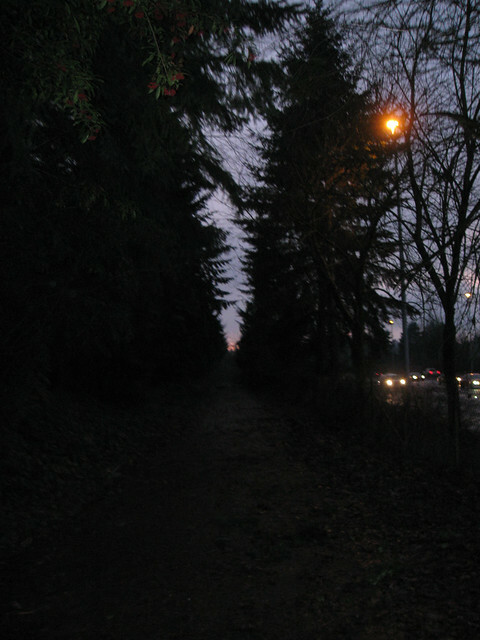 It was fully dark after I finished and I rode through Olympia neighborhoods and a bit more on the I-5 trail until I was back home. Not an epic day by any stretch; all in all I rode around 28.6 miles, but on this, the last day of 2012 that began with snow and ended clear and cold, it was a great day of bombing around. 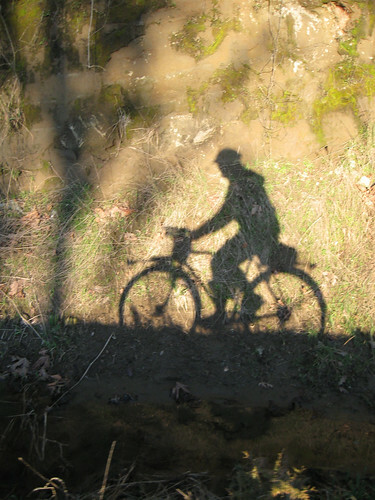 I took many more pictures on this day all of which can be found on Flickr in my Last Ride 2012 set. I was awoken before dawn by wind and rain buffeting the tent. I’d been pretty closely watching the weather for this trip and while it was forecasted to rain on this day it wasn’t supposed to start until later. So I figured I’d be able to pack up, make breakfast and such before it really got started. Not the case it turned out. In fact the weather forecast was pretty much wrong for every day after the first (not a huge shock that). It was supposed to be sunny or partially sunny every day and then clouds move in Thursday night and rain Friday morning. Instead it was cloudy pretty much after the first night and started raining maybe 4am. After packing up my wet gear and making breakfast in the rain I retreated to the campground bathroom to change into foul weather gear. I set off right around 9am in a steady rain with wind off the ocean blowing me home. The route was the same that I used riding in all the way to way to hwy 107. I did ride the trails that I’d seen in Aberdeen both along the dike and then behind playfields and into suburban woods to Cosmopolis. These were nice, flat, pretty new trails. It rained steadily this whole time and was pretty chilly. However in my rain coat and pants I was comfortable enough. 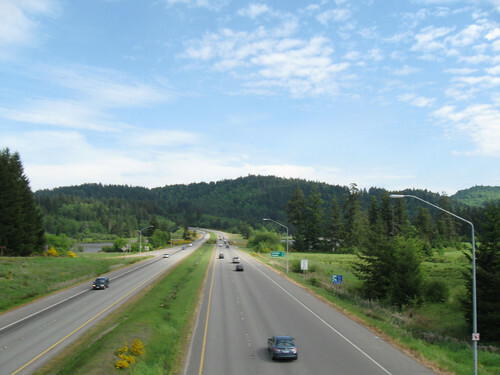 The route back diverged on hwy 107 – I rode north-ish into Montesano just past where my previous route had joined 107 from those backroads post the gravel section. 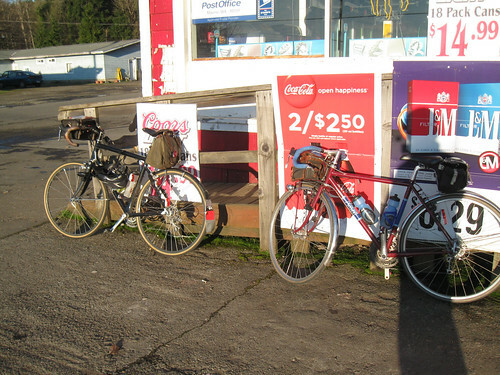 I’d reached Montesano around noon and stopped for lunch at the ever popular Subway. After lunch I struck off eastward on roads that paralleled hwy 12 for a fair piece. I’ve ridden this stretch a couple of times before but it turned northeastward after a dozen miles or so and from here it was new routes until I finally intersected hwy 101. I’d cooled down during the lunch break and it seemed that the wind had shifted and I was riding into it a bit. This caused me to become quite cold for maybe an hour or so. It’d been pretty flat so far but as I rode beyond Elma on backroads it began to climb a bit. This helped warm me up and I was comfortable enough for the rest of the ride. 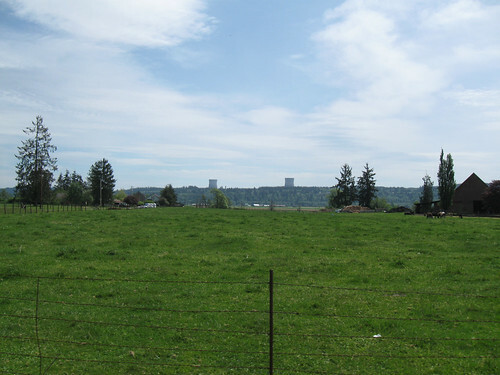 There are a lot of low density housing out here – farms but also just houses on large lots. The houses thinned out and there was more farms for a spell and then I was in some hillier forestland. The rain was not just a heavy mist and as I came out of the trees into the valleys these hills were hidden behind tendrils of fog. I rode up a long valley going pretty directly north and then southeastwards on the other side of the valley! I was now quite near hwy 101 and had been on some of these backroads before. 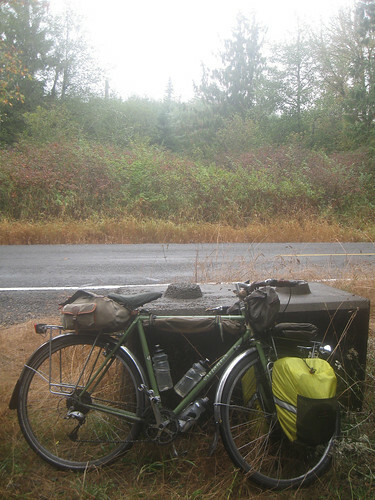 A familiar Dan Henry that marks a route that wends all around Olympia and it’s surrounding enviorns appeared and I knew I was nearing home. The frontage roads ran out and I rode a few miles on hwy 101. I’ve ridden this stretch before and with it’s big shoulders it’s no big deal. Still I was happy to exit onto Steamboat Island Road and take backways down into Mud Bay. 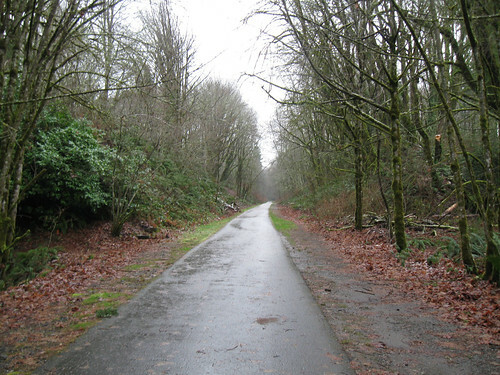 From there its a long, long climb up to West Olympia – a route I’ve now ridden many times. Drizzle was picking up again as I rode into town a bit after 4pm. 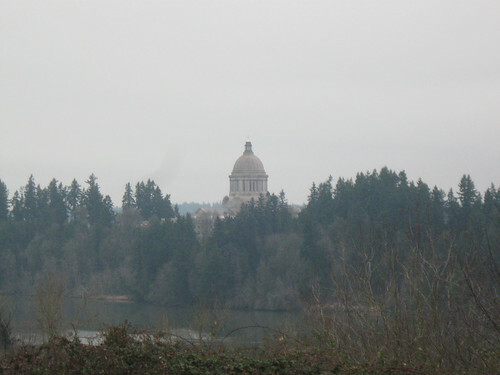 I stopped at a grocery store to get some soup and then down into Olympia and back up toward the capitol where I live. I made it home around 4:45 and unloaded under grey, drizzly skies. I was happy to take a bath and eat some hot soup! So a pretty long days ride in the rain, but mostly fine and I do enjoy how fresh it is to ride in the rain and the mysterious layer that fog adds to everything. It’s pretty steadily rained since I got back so I’m glad I got in this last trip. 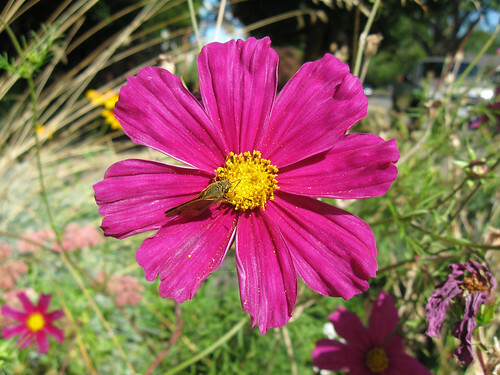 This year I camped in April and October – the earliest and latest camping trips I’ve done. I ended up riding 73.2 miles today. Three weeks to the day that I dropped my Atlantis off at Bar Harbor Bicycle Shop it has finally returned to me. But damn did they overzealously break it down for boxing. I can understand much of the disassembly they did but was it necessary to take the bell off the stem? Or the waterbottle cages off the frame? Once the wiring for the lighting system had been removed why was it necessary to take the light off the (also removed) front rack? Oh well whatever their reasons it was all well protected and boxed up. There was one bit of damage – the pointy seat post lug point had gotten bent from them pounding a seat post cap into it. I was able to bend it back but can’t say that made me happy. I spent hours putting the bicycle back together and as the sun set had it ridable. I did a short ride around the block but much adjustment needs to be made. And then I need to remount my lights and bags and get her ready for some real riding. Great to have her back though – I was beginning to seriously question my ‘one bicycle’ policy after three weeks sans.